Hi there! I have a long time established 4 foot long 80 gallon reef tank....I have an established male Halichoeres melanurus, he is about 3 inches. I was wondering if I could add a Halichoeres melasmapomus? Would there be aggression issues from the melanurus? pair of Macropharyngodon bipartitus, a pair of Macropharyngodon meleagris, and a Macropharyngodon moyeri. Thanks so much for your help! You are all great! I am also a huge fan of Mr. Fenner! I have most of his books!! Thanks so much for getting back to me so quickly! I also have another thought. My LFS just called me to say he got in another M. Moyeri. Instead of trying the H. Melasmapomus, do you think I might be able to pair my current M. Moyeri? Thanks again! <Oh Steph! I have maybe a third of the pix I'd like to show/use. Am sure friends in the field would lend me theirs for publication... You do have the works by Rudie Kuiter, Helmut Debelius, Scott Michael? Hi!! Yes the Wrasse book I have the Scott Michael one! Very informative! Yes we are avid divers.....we are going to Cozumel in a few weeks! wait! Years ago before I had a reef tank, we were on a dive trip to Cozumel and saw blue headed Wrasses! They were so friendly and not afraid of us. I was in love with Wrasses after that. video and pictures under water. So we have pictures framed all over the house....he he! I will for sure go onto Facebook! I would love to get your Wrasse book! If you need pictures of blue headed Wrasses I have plenty of those! LOL! The first time I was in Mexico, and the first time I saw the ocean was in 1986. I was 12 years old. We flew into Cancun and then drove to Akamul, we spent 10 days there at this mom and pop hotel right on the beach, the rooms were right on the sand. No pool, no TV, no AC. I loved it! Swam with Sea Turtles, snorkeled in unspoiled lagoons, it was great. I loved the culture, the people, and the ocean there. I have been going back almost every year. Thanks for taking the time to help me and give me excellent information about the Iberostar on Cozumel! Thank you for running such a helpful site. I have searched quite a bit and cannot find a link which relates to the issue I’m dealing with. I would be grateful for some advice concerning the behaviour of my canary wrasse who is now acting as if suffering from PTSD after 20 months year of bliss. for 2 weeks in a HT where they lived for 80 days. I learned the hard way that a QT is necessary: a Molly Miller blenny brought Ich to my DT, rapidly died, and my coral beauty also died. This will never happen again. 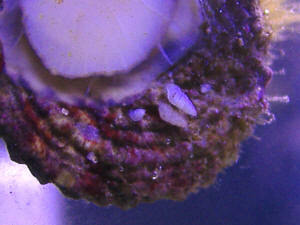 Of my paired Ocellaris Clownfish, the male though appearing stronger than the female, died on day 4 of copper treatment. The female clownfish is doing well, but my canary wrasse’s panic attacks scare her a bit. DT is a Red Sea Max 130D tank (130 litres) I have had for over 2 years. 20-30% water changes are done weekly, water parameters are sound. The survivors, my female clownfish and Saffron, the canary wrasse, are back in the DT since end of December 2015. It was very difficult to move Saffron to the HT and only once buried could he be moved with sand after I tried netting him for hours. Has remained scared of me since (understandably), so I stay out of his sight as much as possible and feed from a faraway corner. My concern is that he is prone to panic attacks and will dart around to bury itself. This has caused him last week to hit the top of the aquarium and amazingly for a 4” fish, fall into the refugium from which I had to net him which was easy as there was nowhere for him to go and put him back in the DT. He has come out of this physically intact though has since managed to injure his tail (a cut in the middle) most likely against rocks in another one of those panics when I forgot to cover the tank the day house cleaners came by. I am concerned he will eventually kill himself through injuries no matter how careful I am. I feel he will do best in the DT with optimal diet and vitamins. Last thing I want to do is move him again. I understand fish can come out of copper treatment slightly different which he sure is. He was and remains a fantastic fish and I feel terrible for him being so stressed. Is there anything else I can do to help? I truly appreciate your replies, thank you so much. Saffron still eats voraciously and never stopped even in copper which he seemed to tolerate, but it has changed his personality from bold to suspicious/scared when humans stand near the tank. It’s evident transfers from DT to HT and back are fresh to his memory. He was like any other wrasse before, as you described, the odd mad sprint. Now definitely jumpier. I’m sorry to trouble you for a few more details re. your comment about sociability of wrasses. So true, he loved his pal the coral beauty. My QT is ready. Are there species of Halichoeres you would recommend as a good match for an adult canary wrasse? Or do you mean I should look at 1-2 juvenile canary wrasses (probably 1 as my tank is only 130 litres)? I’ve read they can be competitive with another similarly coloured wrasse. Is it an issue to have 2 sand-dwellers in one tank? Leopard wrasses appeal but the last thing I want to do is get this wrong. My female clownfish seems content. In such a scenario where the male died, would one look to offer a new companion or best to leave her be? Last question I promise, their ‘body clock’ has changed since treatment, 2 less hours of activity each, 18:00 bedtime instead of 20:00. Light in the HT unnerved the wrasse so I let natural light dictate. Ongoing recovery from copper treatment or something summer will help? Again, thank you. We want Saffron to be serene once more. Bob, thank you again so much. You’ve put my mind at rest. We will provide another Halichoeres asap. WWM’s is such a great resource. I'm looking for some help. I would like to put a radiant wrasse with a Christmas wrasse in a Red Sea max 250. Would this be possible? One more question I know that these wrasses like a deep sand bed. I'm planning on adding more sand to my tank. The only problem is my tank has been running for over a year. Would this cause a problem? despite the different species. I am assuming because both were aquacultured from the same breeder locally. I recently began a battle with both Montipora and Zoanthid eating Nudibranchs and my LFS advised me to get a melanurus wrasse (Halichoeres melanurus) to help eradicate them. They have both male and female of the species in stock. My questions are will this fish add too much to my bioload? Will the two wrasses possibly get along and if so would it matter if I get the male or the female? Lastly will the melanurus actually eat the Nudibranchs or is it not a normal thing for them? website. You all have saved me from making many mistakes and educated me as to why some of my choices before finding you were mistakes. Rob. I contacted you guys awhile back when I had issues with a six line wrasse and wanted to substitute it with a melanurus wrasse. I have since done so and fallen in love with him (despite not being so kind to my clean up crew). The other day I saw my first Mystery Wrasse in person (I'm sure you can see where this is going) and wanted to know if mixing the two is feasible? I've rotated out a lot of stock with fellow reefers as issues arose but would rather not risk something foolish at the price of a mystery wrasse. Hopefully I am not committing the crime of overstocking either! Good Morning, Bob and Crew at WWM! Hope that all is well with everyone. Well, my little Vrolik's wrasse did not make it. He was in quarantine with a right pectoral fin injury and I think he had collection type issues as the injury never developed to anything that looked "infectious" and he died in four days after receiving him. This set back had made me re-evaluate my stocking plans and THINK about what I am in fact trying to accomplish. I've learned that they have a HORRIBLE survival rate...I got him before I LEARNED that fact which is something I do NOT do anymore). I would love to have some wrasses, which leads to this question. After reading and reading and learning about the different species of wrasses, I'm thinking that the Halichoeres species should do better in my setting because of their larger size 4 - 6 inches, peaceable nature, able to tolerate other Halichoeres better, and appears more calm/confident as they cruse the tank. Can I add ONE or can I add a small harem of Three? I would be happy with one, but I LOVE to watch the interaction amongst the fishes, so three would be lovely. I was planning on Halichoeres vroliki, Halichoeres iridis, and a Halichoeres biocellatus. Or three of any one of them? Do you think they would fair well with the description of my setting? I would describe my tank as fairly peaceable, the only conflicts observed are the Atlantic Blue chasing the Kole Eye because with the exception of color, their shape is extremely similar. The Kole Eye is very well adjusted and just swims away and goes about his business. The other conflict is between the Emperor and the Atlantic Blue, just lots of "honk honk"s.
Thank you for taking a "personal" look at my situation! For Bob, YES, these are the same fishes I've had since a few years ago I was writing you while trying to eradicate a very very bad case of Crypt infection! Thanks to you expertise and support, they are happy and healthy with me. I will see what I can gather to introduce together. Most likely, I will go with three different Halichoeres as I could potentially end up with two males and then there is a chance of them dueling to the death! Men!